On June 1, President Trump announced that the U.S. was withdrawing from the Paris Climate Accord. A total of 194 countries committed to the 2015 agreement, drafted to "strengthen the global response to the threat of climate change." 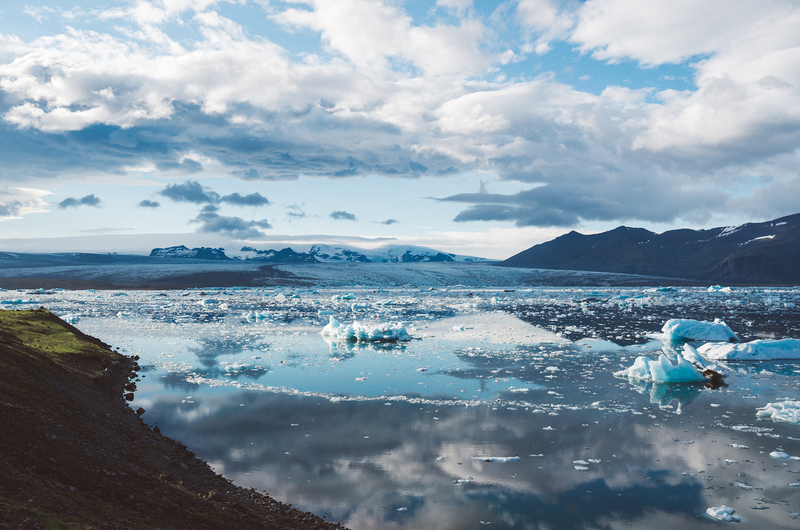 Each nation pledged to take steps to limit the average global increase in temperature to less than 2�C above pre-industrial levels. Scientists widely agree that 2�C is the maximum increase the globe can withstand before the effects of climate change—which include rising sea levels, a higher incidence of forest fires, and more severe periods of precipitation and drought—may intensify catastrophically. At the time of the Paris agreement, many industrialized nations also promised to help fund energy projects in developing countries. In 2014, Obama committed $3 billion to the Green Climate Fund, which helps nations transition from fossil fuels to greener sources of energy. Trump cited "draconian financial and economic burdens" as the main reason for pulling out of the climate agreement. Numerous news sources, including Scientific American, have cast doubt on the President's claims that the agreement would harm the U.S. economy. The withdrawal will take place over the next four years. In response to the announcement from the White House, at least nine states have joined the U.S. Climate Alliance, a bipartisan coalition formed to try to uphold the agreements of the Paris Accord. Alpinist Associate Editor Paula Wright interviewed climate researchers and activists with experience in mountain landscapes for their response to Trump's recent announcement. Pasang Yangjee Sherpa is an anthropologist based in Seattle, Washington. She was a lecturer at Penn State University from 2013 till 2015 before joining The New School University in New York, where she worked as a postdoctoral fellow until December of 2016. She is currently a visiting scholar for the Nepal Studies Initiative at the University of Washington. Her research areas include human dimensions of climate change, Indigeneity, and development in the Himalaya. Lawrence Hamilton is professor of sociology and senior fellow at the Carsey School of Public Policy at the University of New Hampshire, where he studies human-environment interactions and society in the Arctic. His climbing history includes Red Rock first ascents such as Rainbow Wall and Solar Slab, and White Room in Rocky Mountain National Park. 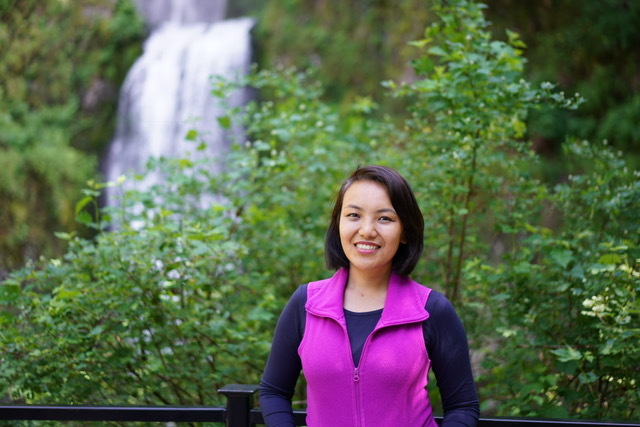 Becky Chung is a storyteller, climate activist, and mountaineer. She currently works for the environmental nonprofit, iMatter Youth, and has worked with the Rainforest Action Network, Sierra Club and SustainUS. 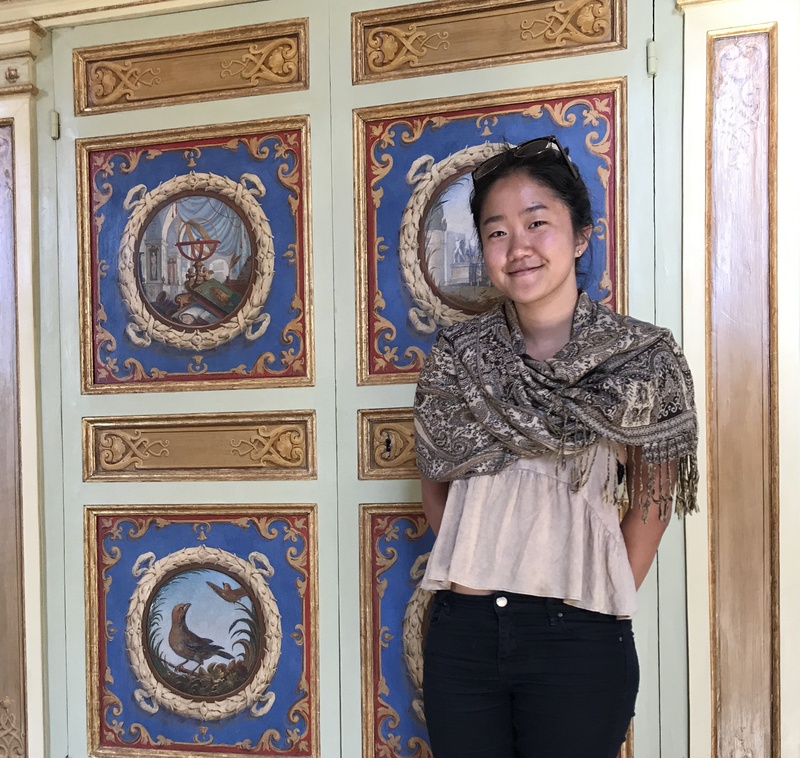 In 2016, Chung served as a US youth delegate to the United Nations' climate change conference in Morocco. 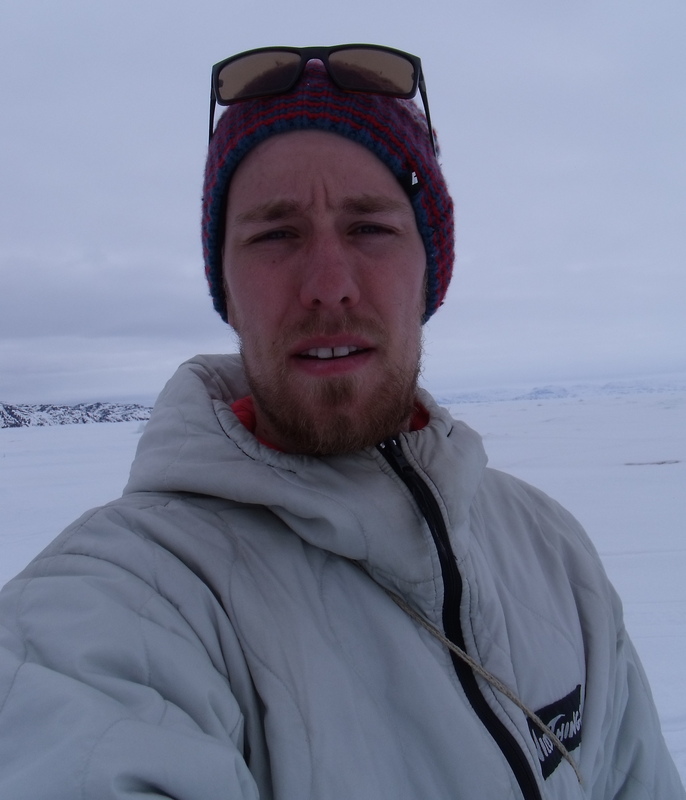 Knut Tjensvoll Kitching is a climber and social scientist whose research focuses on human dimensions of environmental change, particularly on Indigenous experiences of climate change in the Canadian and circumpolar Arctic. Paula Wright: What do you think are the potential ramifications of Trump's announcement that the U.S. is withdrawing from the climate pact? Pasang Yangje Sherpa: The United States withdrawing from the Paris climate change accord can have significant consequences for countries like Nepal that are categorized as Least Developed Country (LDC) in global climate change discussions. Carbon emissions from these countries are negligible on a global scale. As in the case of Nepal, LDCs are however on the frontlines of climate change—less equipped, and highly vulnerable. The Paris climate change accord, even in its imperfect manifestation, was a cause for hope that the world could unite in the fight against climate change. That hope is now challenged. Lawrence Hamilton: As a common threat facing all countries, climate change inspires an unusual degree of international unity, embodied in the Paris agreement. Rejecting that now makes the U.S. an outlier, and a dangerous one that could drag the rest of the world down. Our motivation is ostensibly to protect U.S. fossil fuel interests, but solar and wind employ far more people than coal, and the country could emphasize those jobs, that technology, and lead toward renewable energy instead of higher pollution. Knut Tjensvoll Kitching: It's difficult to say whether it will provoke any kind of withdrawal movement from other signatories. One certainly hopes not. Clearly it fits with the Trump ethos of an inward-looking and individualist America where communal land and collective rights are subsumed by the demands of individual wealth. Becky Chung: Trump was elected president on the second day of COP23 [the 23rd Session of the Conference of the Parties to the UN Convention on Climate Change—Ed. ], which followed the conference that created the Paris Agreement, in Morocco. The possibility of the U.S. withdrawing from the climate pact had always been present. Symbolically, it's horrifying—the president of a country that is one of the largest polluters and emitters of carbon has effectively said that he does not care about thousands of people who are currently facing severe droughts and sea level rises, who are losing their homes and cultures. It's not, however, the end of the world. I work for an environmental nonprofit called iMatter and our focus, especially so over the last couple of years, has been to empower young people to respond to the climate crisis locally. My belief has always been in systemic change that comes from grassroots movements. What I found most powerful in my time in the United Nations conference was certainly not the final document published that repeated generic statements of tackling climate change, but rather the stories of local resistance I heard from activists, politicians, and artists from the Pacific Islands to Canada. Paula Wright: Many local communities are already experiencing the severe consequences of climate change, including low-lying coastal communities and small island nations where flooding has displaced people from their homes. Inland shifts in ecosystems affect farmable landscapes. And at altitude, glacial lake outburst floods caused by warmer temperatures also impact mountain communities. Climbers have reported witnessing the effects of climate change as well, from receding glaciers to increasing rockfall. Are there particular sites you've travelled to where you've become keenly aware of the changes? Pasang Yangje Sherpa: Scientists and researchers are concerned about the expanding Imja Lake in the Everest region. Several studies of the lake have been conducted to understand and minimize the risks. That is important. At the same time, I think it is also important to be cognizant of other climate change effects, especially those that are less understood. The recent avalanches on the mountains in Khumbu have particularly alarmed me. Becky Chung: Antarctica, particularly West Antarctica, is melting quickly with huge ice shelves collapsing. There is no other place on this planet where it is so visibly clear that we must act swiftly to minimize the severity of climate change. The glaciers and icebergs of the Antarctic are indescribably beautiful. Each one is carefully sculpted to fit perfectly into the landscape of ice. That a continent like the Antarctic can exist still overwhelms me. When working as an environmentalist, I've found that it is easy to burn out from the seeming lack of progress, political gridlock with tangible impacts, and the devastating realization that the climate crisis has already been in motion. Remembering the Antarctic reinvigorates me to continue my work. No nation owns the Antarctic and we each share responsibility in its preservation. Knut Tjensvoll Kitching: I've been fortunate to spend quite a lot of time in the Arctic over the course of my life and the changes being wrought there are astonishing. On the one hand there is the steady degradation of multi-year ice, melting on an incredible scale. But on the other there are all the far more insidious and nuanced changes that are far more difficult to communicate, where clear trends are not always easily illustrated. Increasingly unpredictable seasons, shifting patterns of wind and snowfall—these are often highly local shifts, but ones that have huge impacts on landscapes and communities. For those of us in the south, insulated by wealth and distance, it is difficult to imagine the impact of those changes, but they will arrive soon enough. At home in BC, I have often wondered over the last few years (frequently after returning from the Arctic) what those sorts of changes would look like closer to home. The answer I think is terrifying—less snowfall, hotter summers—marked particularly by changing meltwater regimes that will play havoc with the subalpine and valley-bottom ecologies that rely on snowmelt. Lawrence Hamilton: I'll answer on three levels. First local: There is an obscure route named Snark on the east face of Powell Peak in Rocky Mountain National Park. John Byrd, Dakers Gowans and I made the first ascent of that route one nice day in July 1974. We thought it a fine route, on good rock and not hard, but far enough from the road to not get much traffic. Decades later, on my recommendation, a modern climber tried to repeat it and had a terrible time—reporting an inadequate route description, and protection cracks too full of grass. I did not understand the problem until a few years later when Richard Rossiter, updating his guidebook, sent me a detailed modern photo of the face on which to mark our line. Nowadays the route is longer [the way] it was when we climbed it, because a deep snowfield at the base is gone. Warmer, wetter summers also might have contributed to grass filling cracks that had been clean rock back in 1974. In any event, Snark stands as a route (unlike its popular cousins on Longs, Spearhead and so forth) that has not been altered much by humans over the decades, but has changed on its own with the climate. Finally, global: For my work I've travelled to the Alaska Inupiat village of Kivalina, which is losing ground because sea ice no longer protects the shoreline from storm waves in the fall; and to the town of Illulissat, near a huge ice-fjord, where one of the Greenland Ice Sheet's main outlet glaciers has been rapidly retreating. I've also been to many other parts of the North where climate change is an overwhelming physical fact. From scientists' and Arctic residents' perspective it is hard to comprehend comfortable southerners imagining the changes are not real, and not coming for them. Paula Wright: How has your mountaineering life shaped your work or goals as a climate researcher? Pasang Yangje Sherpa: I am an anthropologist from the Everest region in Nepal. Although not a mountaineer, I have deep appreciation for the profession. As a Himalayan woman, whose family and friends continue to live in the Nepali mountains, I find it impossible to not talk about climate change effects in our villages. I started engaging with anthropological study of climate change after learning about the potential glacial lake outburst flood (GLOF) from the Imja Lake in Khumbu. In addition to melting of glaciers, and GLOF threats, my research showed that the Sherpas were observing and experiencing several other climate change effects. Unpredictable changes in snowfall and rainfall patterns, and extreme events such as strong wind were some of these climate change effects. Lawrence Hamilton: All my early climbs were self-propelled: I learned as I went out with equally clueless partners. With brand new ice axes and no instruction, we ventured up couloirs and snowfields on the Crestones, Pyramid and Capitol Peak. When I look through my photos from that era, summer snowfields created much of the "mountain" atmosphere. The July summits appeared different then than they do in more recent pictures. That recollected beauty and spirit of the Colorado high country came back to me years later in life when I had the chance to shift my professional career from data analyst to Arctic researcher. Northern landscapes touch the same personal chords, with snowy tundra in Alaska or Greenland instead of the Rockies. In the North, as in the high Rockies, climate change has been undeniable and fast. Arctic winters remain dark and cold, they probably will always be, but the ice and snow melt sooner now as ecosystems are changing. Knut Tjensvoll Kitching: Climbing has shown my many beautiful and fragile places. I've learned a great deal about myself, about life and inner strength, while being challenged and humbled in those same places. I've spent time studying and advocating for the protection of the environment because I love those places, and I've seen for myself how vulnerable they are. Paula Wright: Would you like to see the climbing community respond to the announcement, and if so, how? Pasang Yangje Sherpa: I think the climbing community is well suited to respond to the announcement. This is a community that deals with the environment directly and intimately. This is also a community that will suffer firsthand from the consequences of lack of climate action. I would like to see the climbing community speak about their experiences of witnessing climate change, and their love for the mountains with anyone and everyone—their families, friends, neighbors, and community leaders. I would like to see them speak at different venues, and reach different audiences. I would like them to educate us, the public. Becky Chung: The announcement is a huge blow to the climbing community because if the United States is unable to surpass or even reach the emissions reduction goals of the Paris Agreement, some mountain ecosystems, which are already critically threatened, may collapse. But the issue is about more than just preserving the places we love to climb. The mountain and low-lying coastal communities are home to thousands of people who have the right to not just survive but to thrive. The people I met in Ladakh, a desert region in the Himalaya, have been forced to deal with a cloudburst, which killed hundreds and damaged several villages and which is attributed to warming temperatures. The people of Ladakh have contributed a negligible amount of greenhouse gases into the climate, exponentially less so than the United States but they are forced to respond to the worst impacts of the climate crisis. As climbers, we have a responsibility to change policies at home so that communities vulnerable to a changing climate do not have to bear the burden of the greenhouse gas emissions of the United States. Knut Tjensvoll Kitching: I've been so impressed by the mobilization of the US outdoor community around protecting Bears Ears. That's the kind of momentum and energy that is needed.... Protecting and conserving public land is one of several tools in our environmental advocacy arsenal—and it's a particularly vital one in [our] political climate. I'm a great believer in the dictum of Leopold and Carson (and many others) that to care for a place and act on its behalf you have to know it, and love it deeply. Wild lands are places of sanctuary and renewal for that love—we need them to teach future generations that passion, and to remind them of the madness of ignoring the climate imperative. 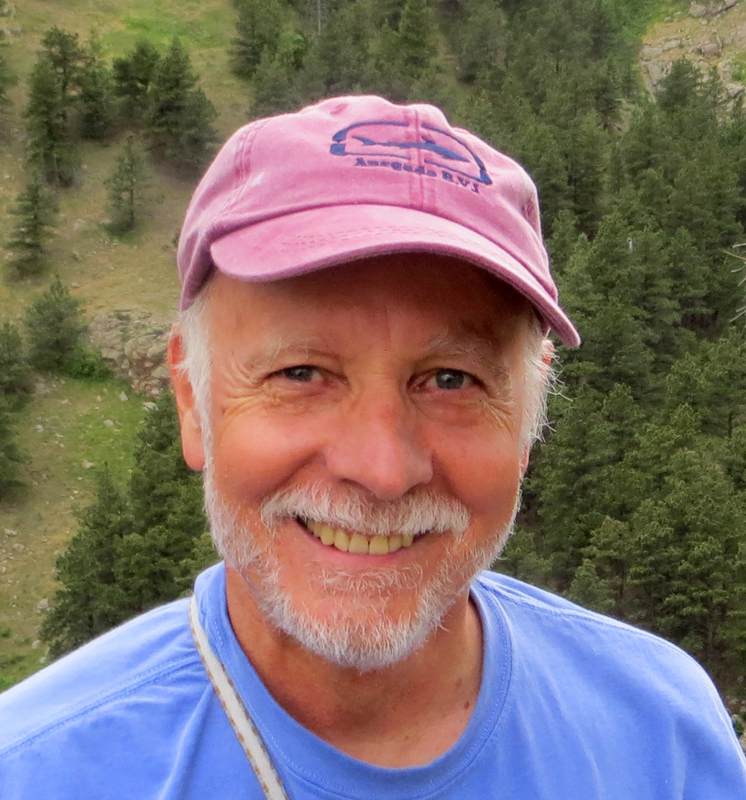 Lawrence Hamilton: I'm heartened by the strong stance taken by Patagonia and other companies, particularly against selling off public lands where climbers have a huge interest. May such outdoors-industry efforts expand tenfold, while individual climbers get more active as well—calling our Congress-folk, engaging local government, giving money, even running for office. Perhaps climber activism will enter a new phase with interests broader than access to crags. But climbers by themselves are not a powerful interest group. We need to find allies and be allies with other groups that don't care about climbing, but have their own reasons to oppose the politics that will speed winter warming, forests dying, ecosystems declining and so forth. One encouraging thing we've seen nationwide in recent months has been a surge in citizen activism with many more people now paying attention, and doing whatever they can to turn the government around. Climbers can't turn things around by themselves but neither can anyone else; collectively we have hope.